Best Juicer for you and your family. 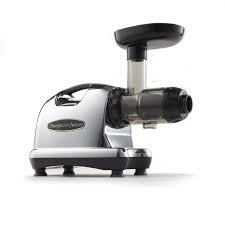 This type of juicer is generally easier to operate and clean than the standard centrifugal juicer. As the fruits and vegetables are fed into the chute, the pulp is separated from the juice and is deposited into a canister at the back of the juicer. There is no need to stop and clean out the juicer until the juicing session is complete. Ideal for a family or someone juicing larger quantities of fruits and vegetables. Good yield, but slightly less than the standard centrifugal juicers. Easy to clean. Will not juice wheatgrass. There are now available centrifugal-ejection juicers with larger 3 inch diameter feeding chutes. They have the advantage of less preparation time because you do not need to cut the produce into small pieces. Some of these wide mouthed juicers can juice several whole carrots at one time. They are very fast machines and they are easy to clean. However, you will get slightly less yield especially with leafy greens. Will not juice wheatgrass. This type of juicer is newer to the juicing scene and provides some advantages over other juicers. It operates by using a single auger that rotates at a low revolutions per minute (rpm), typically about 80 rpm. The fruit and vegetables are squeezed and pressed while moving forward as the juice flows into one receptacle, and the pulp into a separate receptacle. 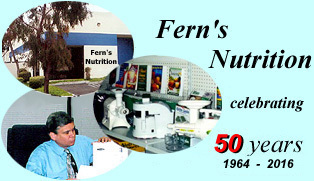 Low RPM juicers preserve nutrient value as there is less heat, friction, and oxidation. This type of juicer is easy to clean and will juice wheatgrass and leafy greens with excellent efficiency. 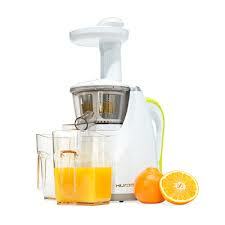 The single augur juicer is somewhat slower than centrifugal juicers, especially on carrots. Great Versatility: makes nut butters, frozen fruit desserts, baby food and can make pasta shapes like spaghetti and linguine. the Vertical Single Auger. These operate like the standard single auger juicer but are designed to provide all the benefits of a low RPM juicer in less countertop space. This type of juicer uses inter-meshing stainless steel twin gears to squeeze and press fruits and vegetables. It operates at less than 200 RPM so nutrient value is high and the effective squeezing by twin gears produces highest yield. The twin gear juicer will juice all fruits and vegetables including wheatgrass and leafy greens, make pasta shapes, nut butters and frozen fruit desserts. These juicers are larger and heavier than other juicers. 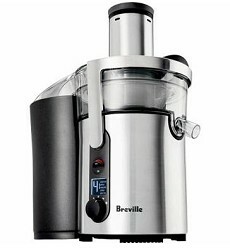 There is a longer cleaning time and they are more expensive that other juicers. They are preferred by raw food enthusiasts because of the high nutrient value and high yield.